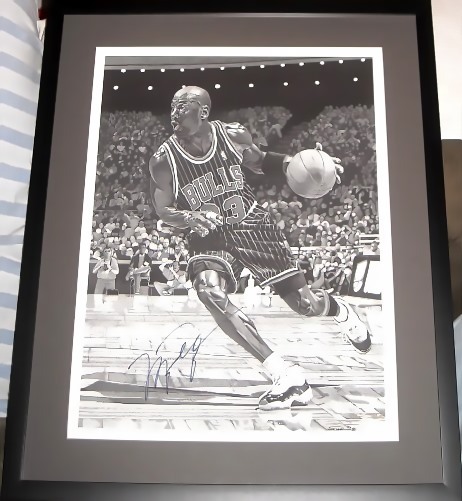 Chicago Bulls 16x20 inch black and white stipple lithograph autographed by the legendary Michael Jordan, professionally matted and framed, ready to hang. Framed size is about 22 by 27 inches. PLEASE BE AWARE THAT 99% OF NON-UDA MICHAEL JORDAN AUTOGRAPHS OFFERED ON THE INTERNET ARE FAKE. 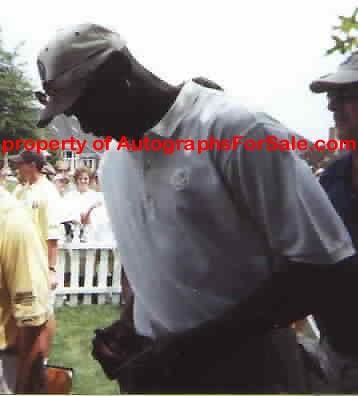 This autograph was obtained in person at the Mario Lemieux Celebrity Golf Tournament in Pittsburgh many years ago. With certificate of authenticity from AutographsForSale.com. ONLY ONE AVAILABLE FOR SALE.